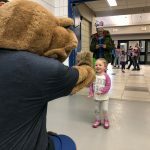 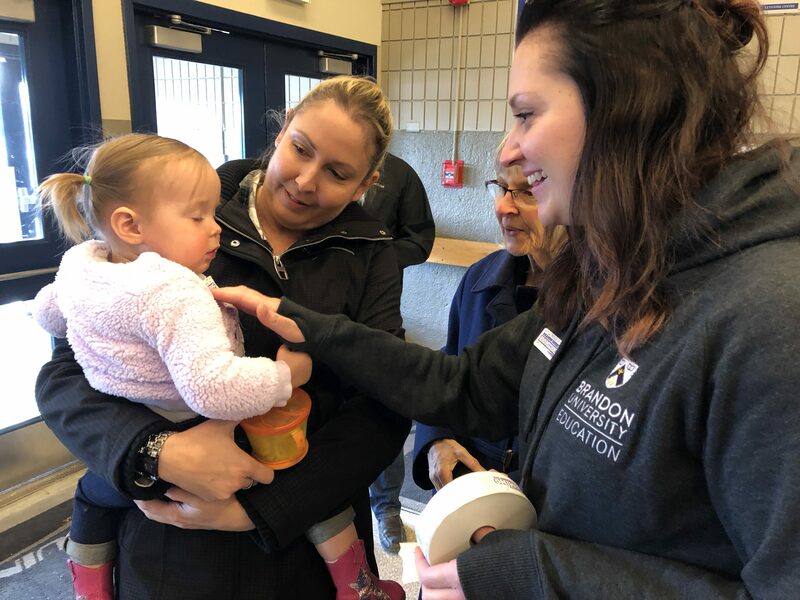 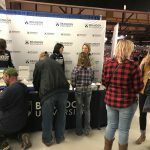 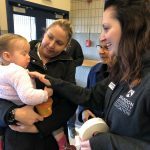 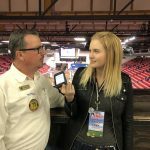 There were a lot of smiles at the Royal Manitoba Winter Fair during Brandon University Kids Day, but some of the biggest came a week later. 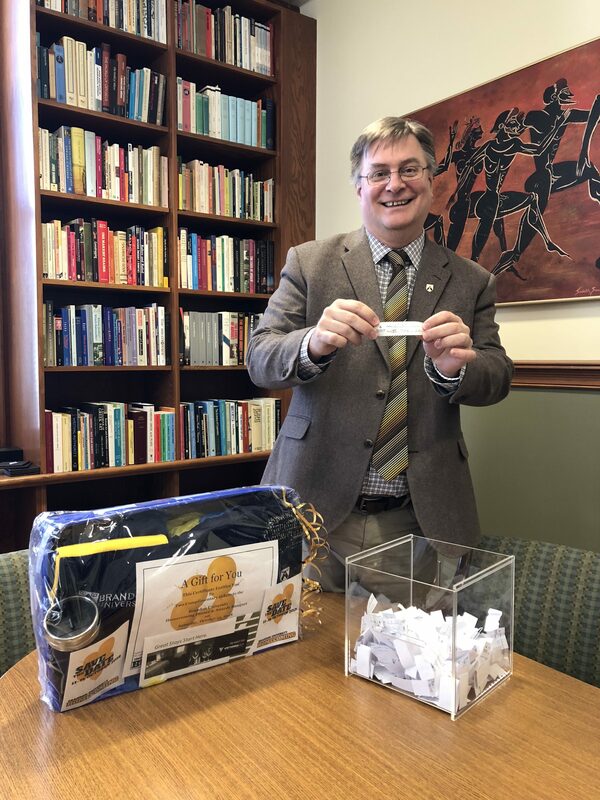 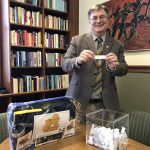 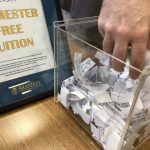 Drawing slips of paper from a stuffed-full ballot box, BU Interim President Steve Robinson awarded three prizes to fairgoers who entered their names at the BU booth at the Fair. 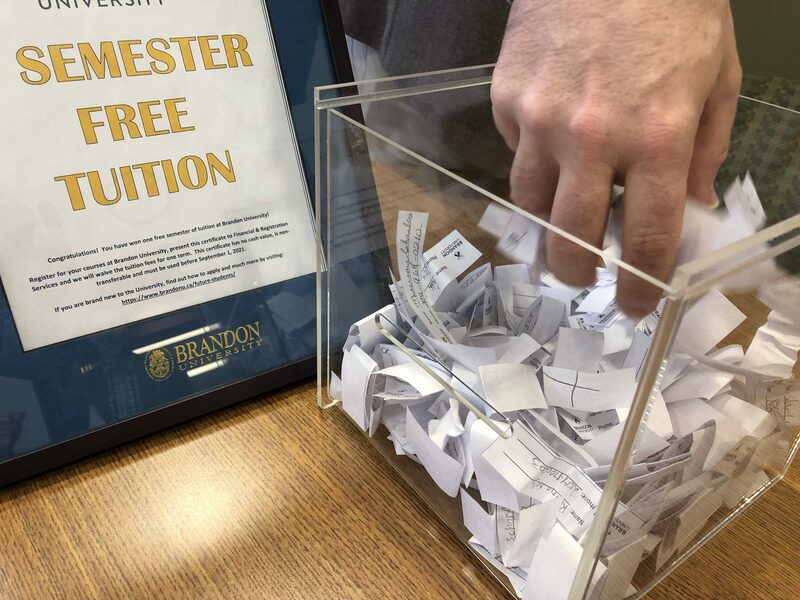 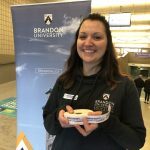 The winners were James Arnold, from Winnipeg, won an HLC basket; Caelan Hagan, from Brandon, won a Homecoming basket; and Hella Runne, from Carman, won a semester of free tuition, which she plans to gift to a family member. 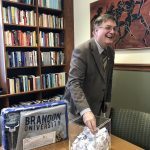 BU Interim President Steve Robinson draws the name of Caelan Hagan, from Brandon, won a Homecoming basket. 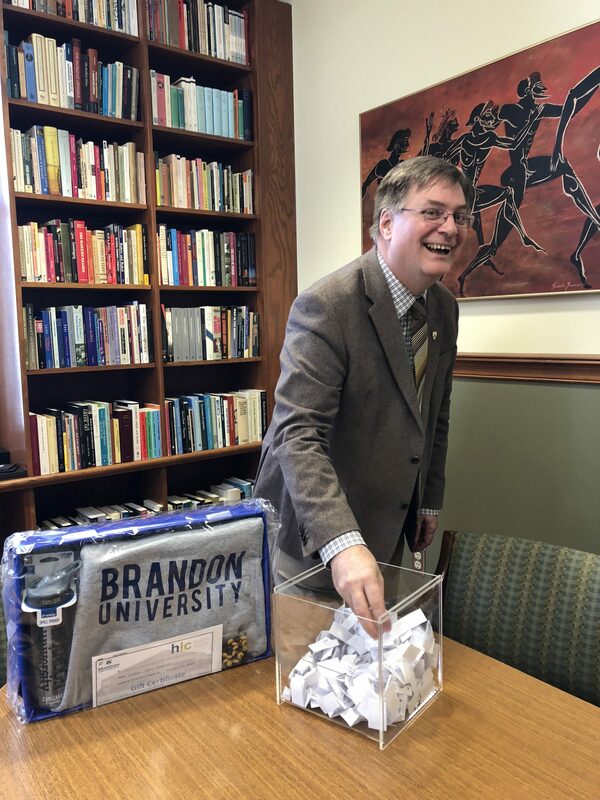 BU Interim President Steve Robinson draws the name of Hella Runne, from Carman, won a semester of free tuition. 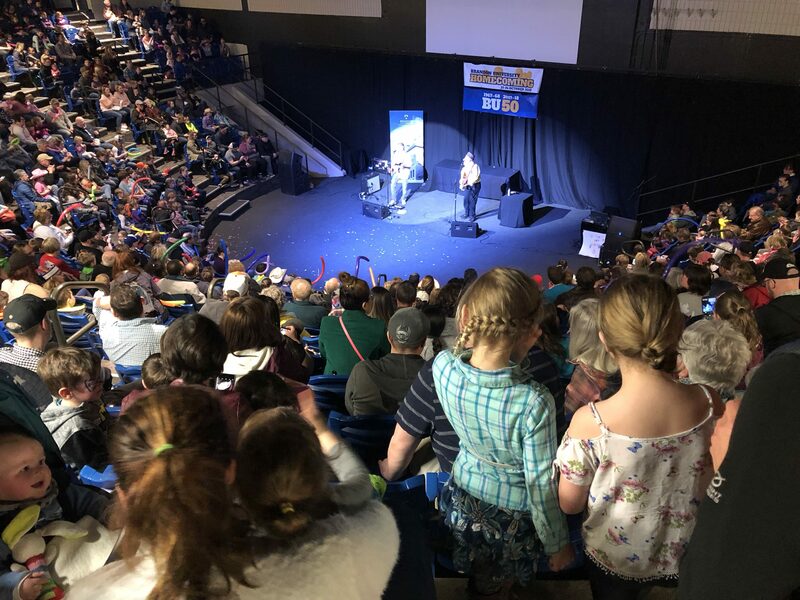 One of the top draws at BU Kids Day was renowned family entertainer Fred Penner, who received an honorary doctorate from BU in 2007. 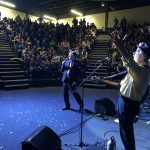 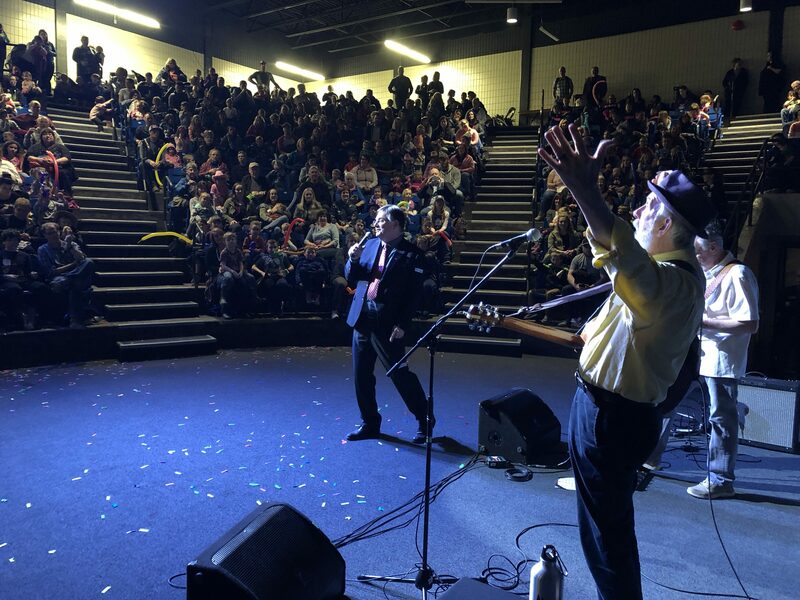 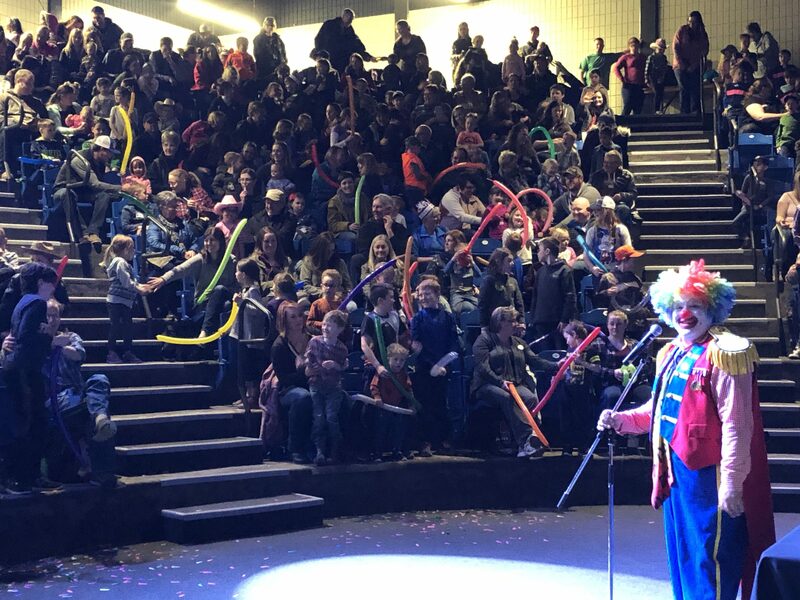 Fresh off his 13th Juno win, the “Cat Came Back” and “Sandwiches Are Beautiful” star kept a jam-packed amphitheatre enthralled for two full shows. 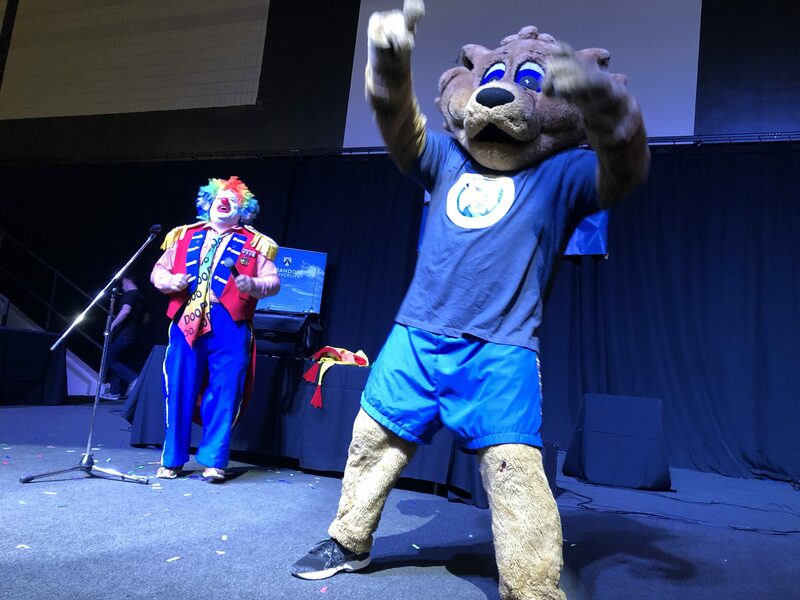 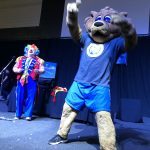 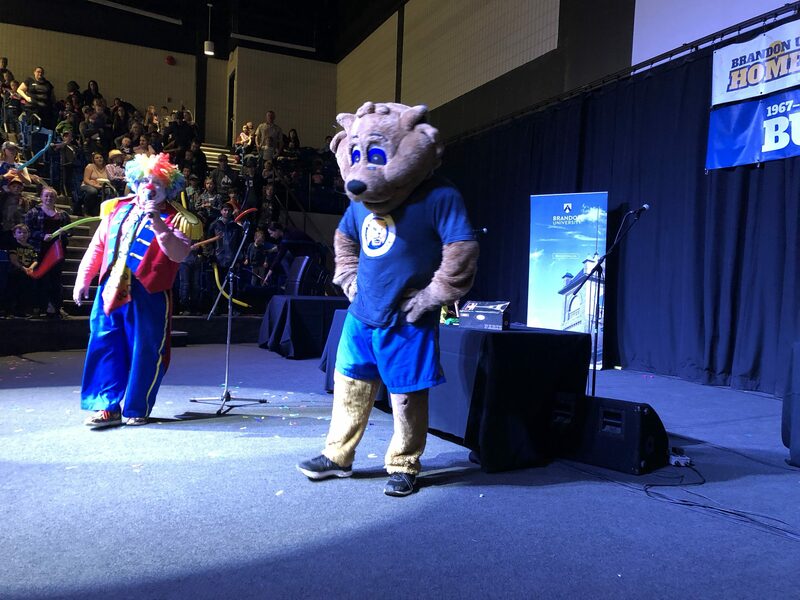 Fan favourite Doodles the Clown, joined by special guest Bailey Bobcat, the BU mascot, opened the shows. 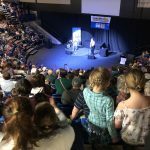 This video from BU Kids Day at the Fair shows Interim President Dr. Steve Robinson among those entering the Main Arena. 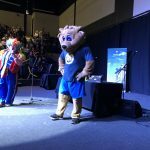 Watch for Bailey Bobcat, too! 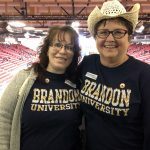 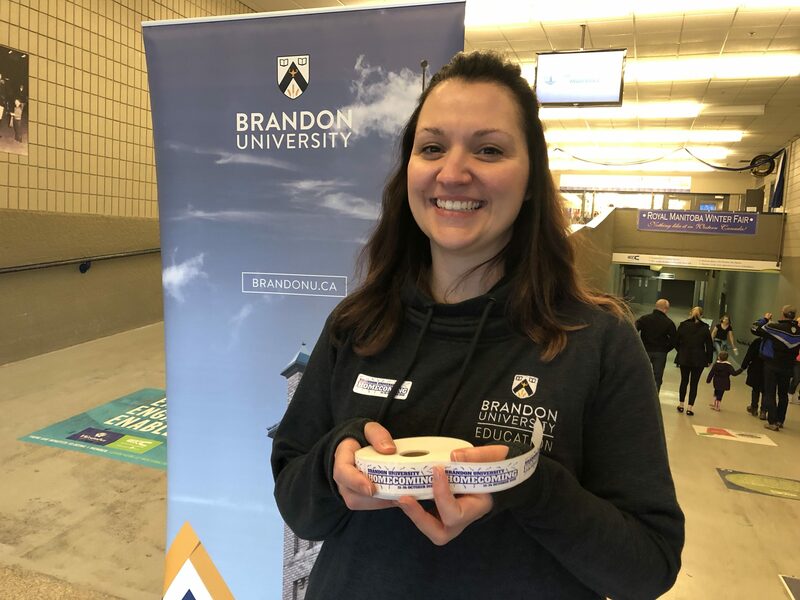 Brandon University volunteers met people coming in to say howdy and hand out stickers. 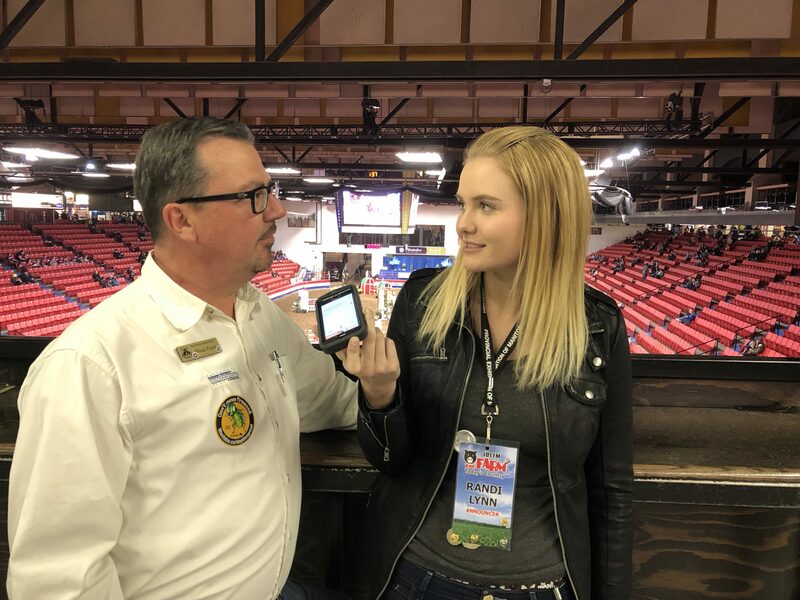 BU’s Doug Pople tell’s the Farm’s Randi Lynn about BU Kids Day. 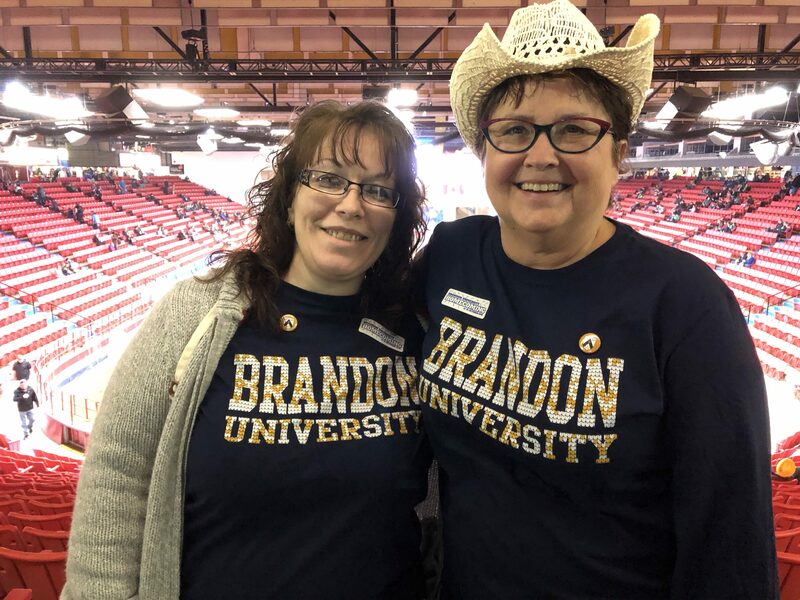 BU volunteers were identified by their great Brandon University garb. 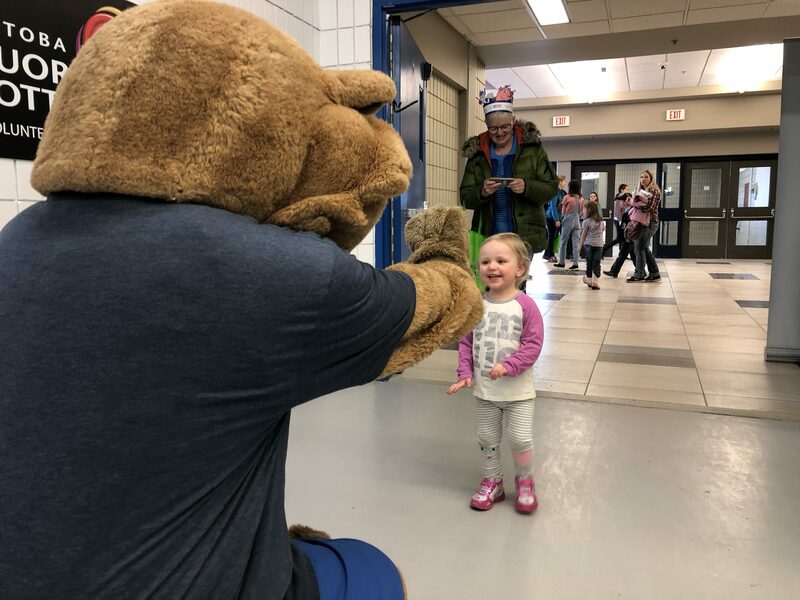 Who can say no to a high five from Bailey? 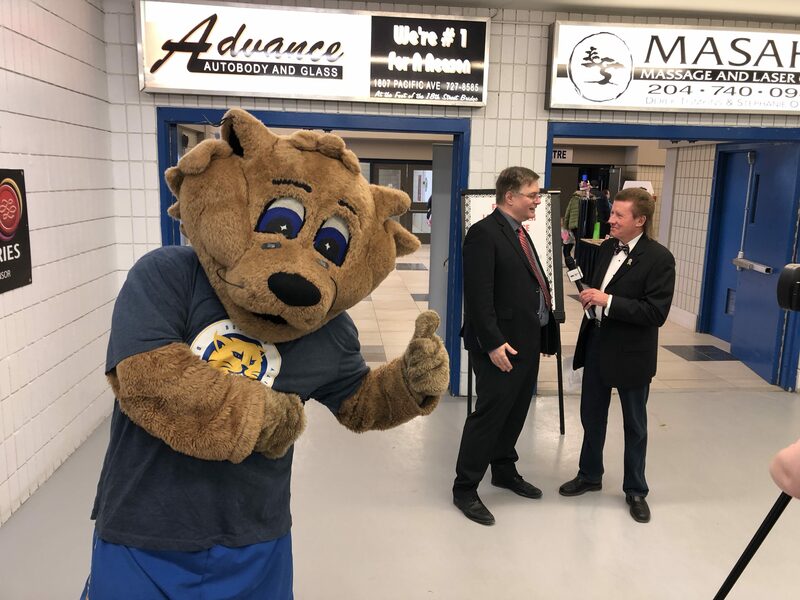 Bailey gets into the picture as BU Interim President Steve Robinson talks about BU Kids Day for the media. 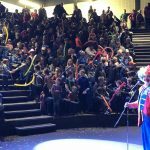 Doodles the Clown warms up the crowd for Fred Penner. 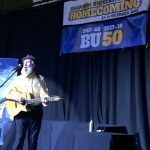 BU Interim President Steve Robinson introduces Fred Penner. 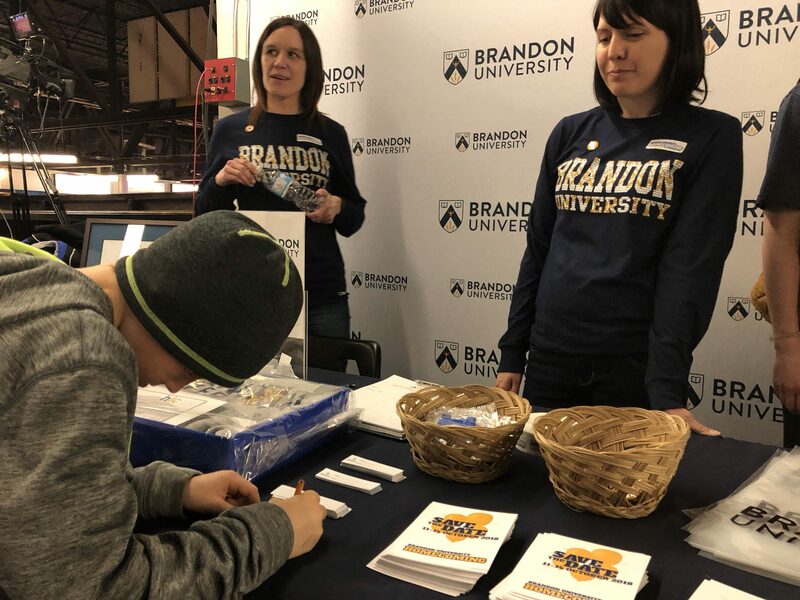 Popular draws at the BU Kids Day sponsor table. 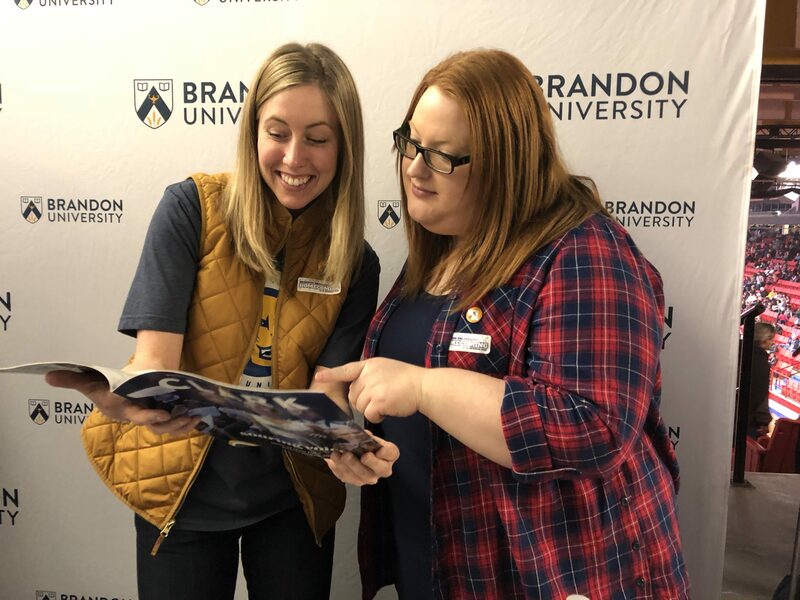 Taking a look at BU’s new magazine, Clark. 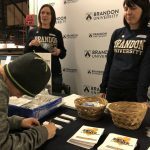 The BU Kids Day sponsor table, in the main arena. 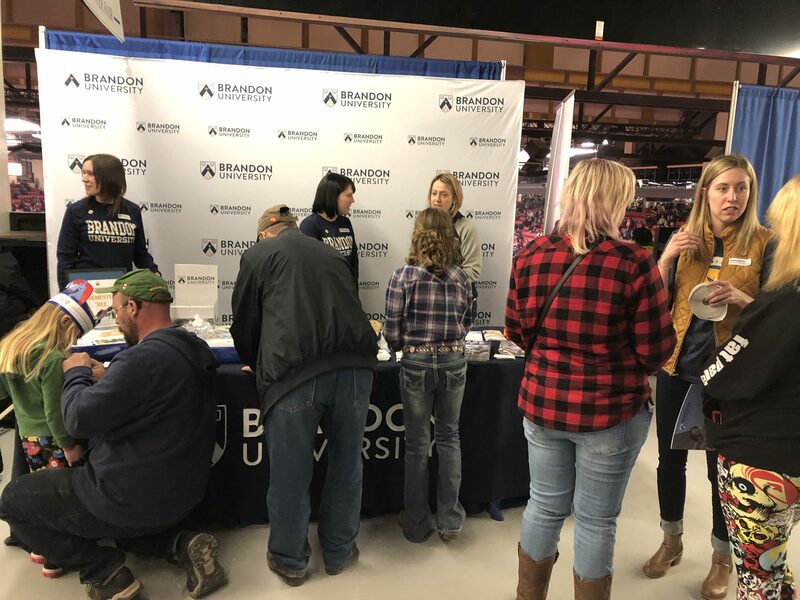 BU Kids Day at the Winter Fair also showcased Brandon University’s presence in the community, including co-operative education, career planning and placement, alumni engagement, and future students. 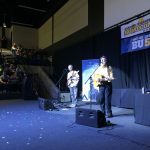 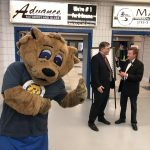 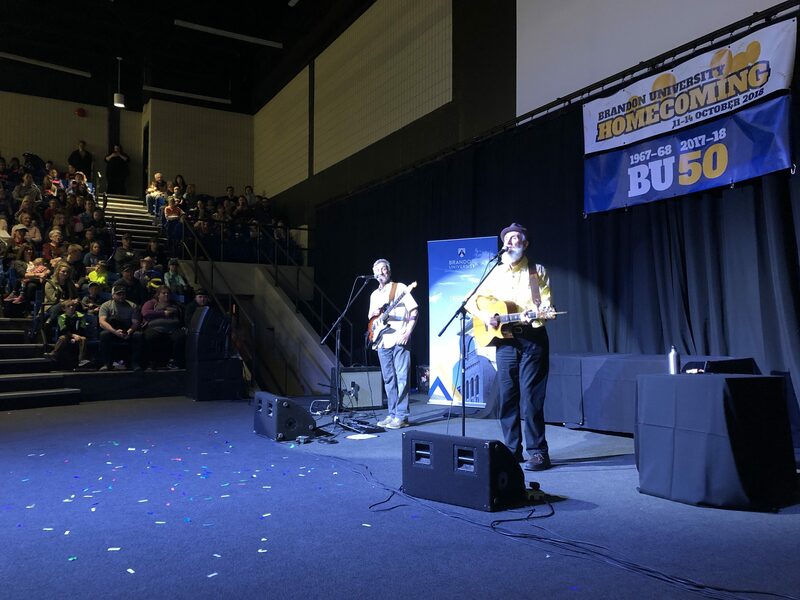 A particular highlight was Brandon University’s ongoing BU50 celebration, marking BU’s 50th anniversary since receiving its charter as an independent university. 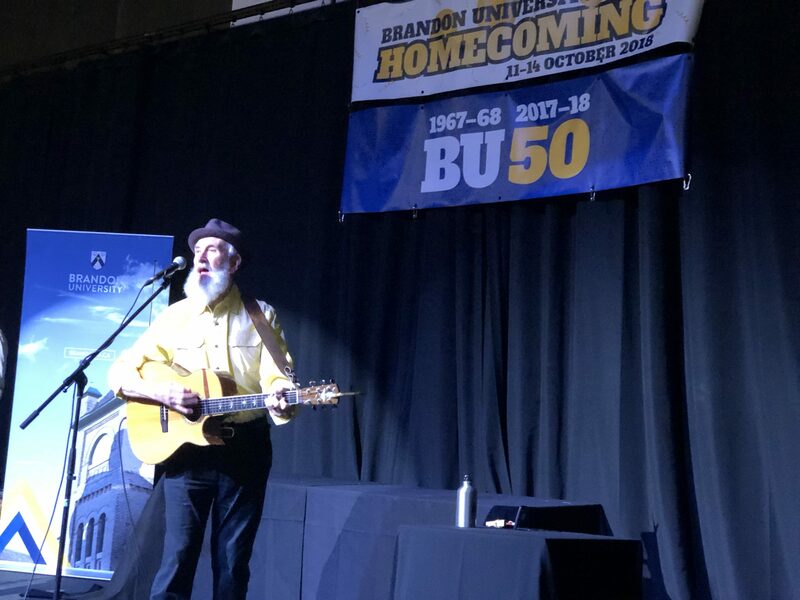 Combining pride in Brandon College traditions with the ambition of a growing Brandon University, BU50 will culminate this fall at Homecoming 2018, when everyone is invited to campus for four days of community celebration, October 11–14. 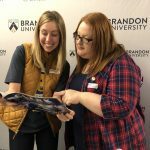 For more information about Homecoming, see BrandonU.ca/Homecoming.